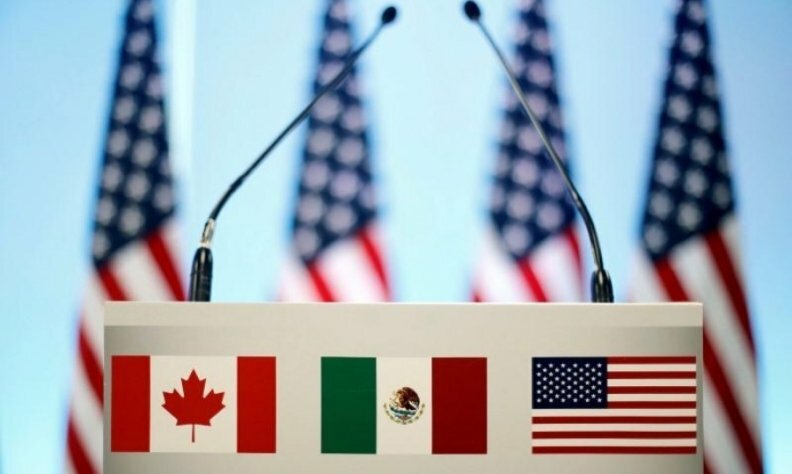 The survival of NAFTA was hardly a given exactly a year ago, when negotiators from the United States, Canada and Mexico gathered at a hotel in Washington. Their task was to start hammering out a fast update to the 24-year-old pact, which governs US$1.2 trillion in trade. Trump wasn’t backing down from his threat to withdraw from the deal. Still, heading into the opening round of talks, business leaders were hopeful the United States would push for a modest revamp that would bring the deal into the 21st century on issues like digital commerce and intellectual property. U.S. Commerce Secretary Wilbur Ross said the United States wanted a deal by January, suggesting the administration might settle for a quick makeover. That would likely have satisfied Mexico and Canada, both of which supported the idea of a tariff-free continent. But when U.S. Trade Representative Robert Lighthizer took the stage on the first day of negotiations, it was clear he wasn’t interested in a “mere tweaking.” The veteran trade lawyer from northern Ohio proclaimed that NAFTA had failed for “countless” Americans, costing manufacturing jobs. The U.S. would be looking for a host of major changes -- foremost among them, a reduction in America’s trade deficit. But 12 months after Lighthizer put his counterparts on notice, the talks continue. The U.S. and Mexico are pushing for a breakthrough on cars, hoping that could pave the way for a deal before Mexico’s new president takes office Dec. 1. However, the nightmare scenario for companies -- a U.S. withdrawal -- hasn’t come to pass. Trump may still effectively take that path. He’s imposed tariffs on steel and aluminum, and is threatening to do so on imported cars and car parts, a move that could upend the North American supply chains of companies from General Motors to Toyota Motor Corp.
“You’re starting to see that, in the part of America that Republicans hope to win, the mood is unsettled on the value of a tariff war,” said Derek Burney, a former Canadian ambassador to the United States. It appears the three sides came close to an agreement in May. Canadian Prime Minister Justin Trudeau said the countries were approaching a “final deal-making moment,” when the United States canceled a meeting with Trump after Canada refused to accept a sunset clause. Momentum is building again, driven by the U.S.-Mexico talks. Incoming president Andres Manuel Lopez Obrador has signaled he would prefer the current Mexican government sign the deal before he takes office in December.